I expect to see if before the end of the year at any rate. ITWGY is up for pre-order over at amazon.com. Release date for australia? Anyone? How does bender incline his head? hope its region 2... I like the first one WAY better. For the records, the Region 2 cover arts for the previous DVDs were the same as the Region 1 ones. In other kind of movie related news, ilovebender.com is finally up for the next movie. That or it is for Bender's Game. I haven't really looked around. Can't wait to get BG and ITWGY on blu-ray with video commentary and amazing blu-ray picture. 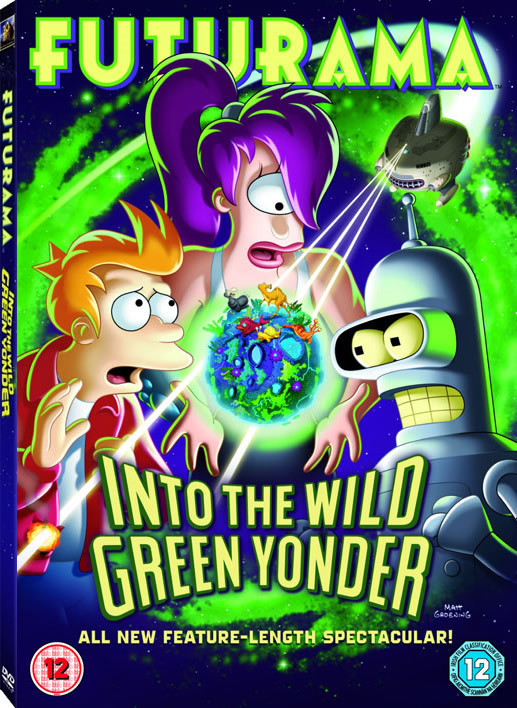 I think Bender's Game was the first of the movies to have a video commentary, so it's unlikely they'll be available on the BBS and BWABB Blu-Rays. I don't even think that is possible unless they did another commentry, which would totally just ruin it. So...yeah. All of the movies I bought from Sanity came with a 3d cover, ITWGY should look awesome! The download page is working, so...get some wallpapers or something. They look the same to me? I wish we had a bigger size of the first one. I don't like the movies nearly as much as the episodes. Dunno why exactly. I think the second photo (The one where Leela isn't holding the planet) a lot better. As many have said, Fry does look awkward. In my opinion, the first photo looks a lot more cramped. Mittens: What are you doing? Wonder when the next review will surface? Can't be too long as there's little of a month until it's released now. i aint had a browse on these forums for a while, is there any news on a 4 disc edition box set, ive been holding out buying out the new dvds because i want a cool boxset in my collection. Nothing definitive yet, I'm pretty sure. Wouldn't the possible Movie box set have all the movies spliced up into episode format though? Don't get me wrong, this is just speculation but it wouldn't surprise me if that was the case. Personally I'd prefer to see them all in feature length format, hence why I'm buying them as individual films now. I certainly won't be buying them in episode format should that be how they are released when bundled together. The Ilovebender.com site is updated, with the cast and crew bios. Pretty interesting, I guess. I was excited to see Nixon on the heads on the bio page. He's the only non-clickable head, would've loved to see a bio for him just for fun. Having just looked on the UK Amazon site it looks like we're going to get that cover as opposed to the other one. Which is a bit of a shame as I do much prefer the other one but at the end of the day it's the same film so the cover doesn't really matter. I am curious as to why they felt the need to make two different covers though.